Acevision is a modern and unusual OnePage Theme, which is perfectly suitable for any type of business. It's very easy to set up and customize. Advanced Admin Panel allows you to create a unique and amazing website. Modern and flat design WordPress Theme. 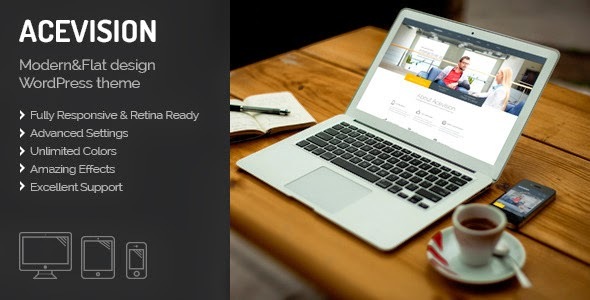 Item Reviewed: Acevision - Responsive OnePage WordPress Theme 9 out of 10 based on 10 ratings. 9 user reviews.